The holidays are stressful. This is a widely known, felt, humorized, fact. This is hard for everyone. Typical people have problems all their own. Their nervous system takes a hit, they suffer headaches, panic attacks, inflammation of arteries, endocrine system issues, and GI problems. (some help here) If you add in mental illness, those get amplified. If you add in Bipolar, you might just have an episode… at Christmas or different holiday party. Depending on the episode you may go for total embarrassment, or be the center of a pity party. Great choices right? Right now it looks like I’m headed towards a mixed/dysphoric episode. For almost the last week I’ve been getting warning signs of a possible mixed episode. Aches in places I haven’t had in months, irritability, upper abdominal pain, somatic pain (like when your heart feels like it was punched), feeling brain pain if my attention is being pulled by something I just can’t handle, and I get some of the standardized ones as linked above. These are things that I’m usually good at keeping an eye on, but I forgot about PMS (sorry males). That’s the danger zone. Signs that just meant to slow my days are amplified and probably won’t go down for two weeks. I haven’t had this since my lithium was about halfway to therapeutic levels, I thought I was out of the woods, and there’s my downfall. I’ve imagined this repeatedly over the years. I can feel it coming with a healthy dose of dread. Here comes the manic moments, dysphoric pain, irritation, somatic pain at injury sites or my whole body, and body tension that as made me bawl. This afternoon I near tears, snappish, and my skin was crawling off my body for the minor event of our daughter being a pita and wouldn’t leave so we could have a break after a family brunch. Other people actively pulling my attention away from my focus hurts my head and makes it feel like a cotton ball or like it’s being compressed, but I have to pay attention. Then I try and miss half the things because I can’t see straight, the pressure in my head smooshing my memory. I despise feeling on the edge of a dysphoric episode, and I am not going to get the prescribed rest the week before Christmas. Not doing anything would be worse and the outcome embarrassing and painful. Imagine it: “No, I don’t have your gift, I had to do nothing for a week.” I should have paid attention, but I was running around so much barely knew what day it was and therefore, what time of the month it is, and that isn’t going to change tomorrow. I don’t know how to stop it, or at least keep it from getting worse the week before Christmas. There’s no time to rest, have fun, etc. etc. So how am I going to make it? Hour by hour and ask for help. Here’s hoping I’m not psychotic on Christmas. A Background: My treatment before bipolar was PMDD because PMS was a trigger for an episode every month, but we had it wrong, we found the zebra instead of the horse. I had BP1, ultra-rapid cycling with psychosis and now the occasional PMDD that makes me live in a limbo of ‘episode? No episode? One week? A couple of months?. All this swirling in my head makes for a fascinating mind when I start getting symptoms. I suppose we will see where the week takes me. Good luck me. 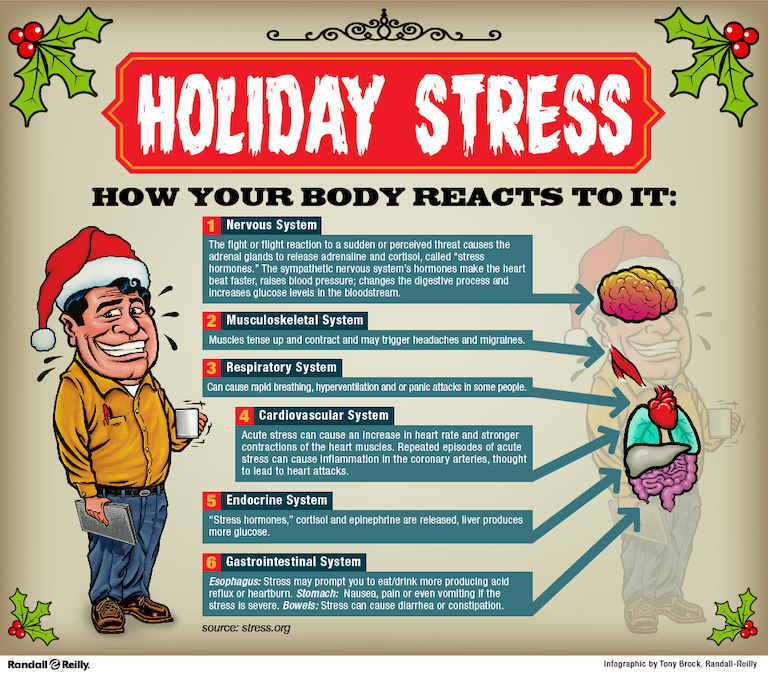 TL:DR: Holidays are stressful for people in general, but amplified for the mentally ill. I pushed myself too hard and feel a nasty episode tapping me on the shoulder. This is dreaded, but I’ll survive. ‹ PreviousLess than 22% Body Fat = Happy right? I truly understand! I also have bipolar and Christmas is very stressful for me.